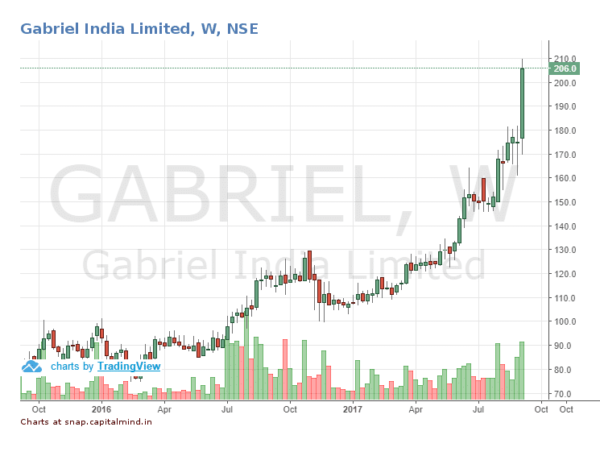 Gabriel India started in 1961, when Mr. Deep C Anand in collaboration with Maremont Corporation (now Gabriel Ride Control Products of ArvinMeritor Inc., USA), for the manufacturing of shock absorbers. Today it is the leading Original Equipment Manufacturer for almost all major auto manufacturers. 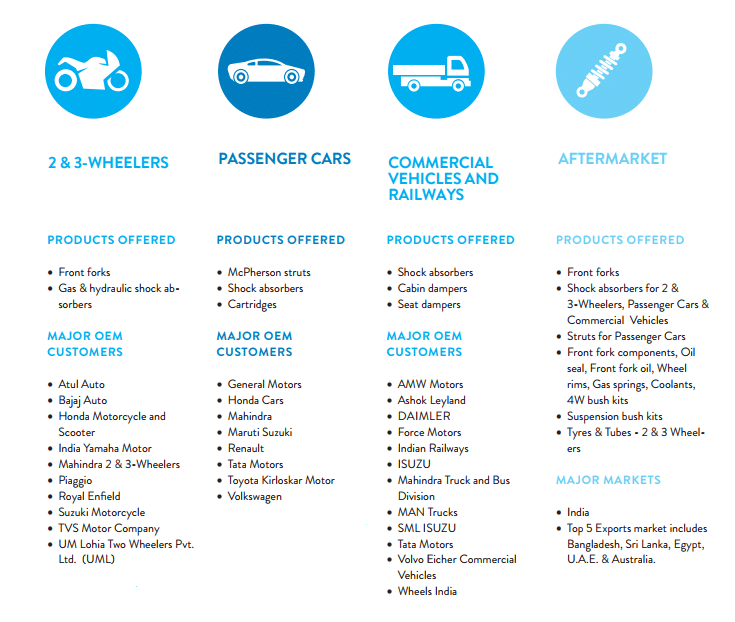 Automotive sales in India have been strong and this has had a knock-off effect on Auto component suppliers as well. The biggest risk with OEM suppliers is the consistently small margins that seems to dip as time goes by. Gabriel has managed to buck that trend with its Operating Profit Margins improving from 5% in 2005 to nearly 10% currently. This has come on back of expansion of both the product range – the company today has over 300 products models to suit its varied customer base and expansion in terms of companies it now supports. In 2016, the company won its first order from the Railways. With greater emphasis being placed by the government on Rail Reform and Investments; this could just be a beginning. Indian Railways has recently doubled Gabriels LHB coach shock absorber order. With the trend shifting from four shock absorbers/coach to 18 shock, this should drive revenues in future. Gabriel falls into one of the very few companies that fulfill major criteria that Warren Buffett uses to acquire companies. The company has demonstrated consistent earnings power. 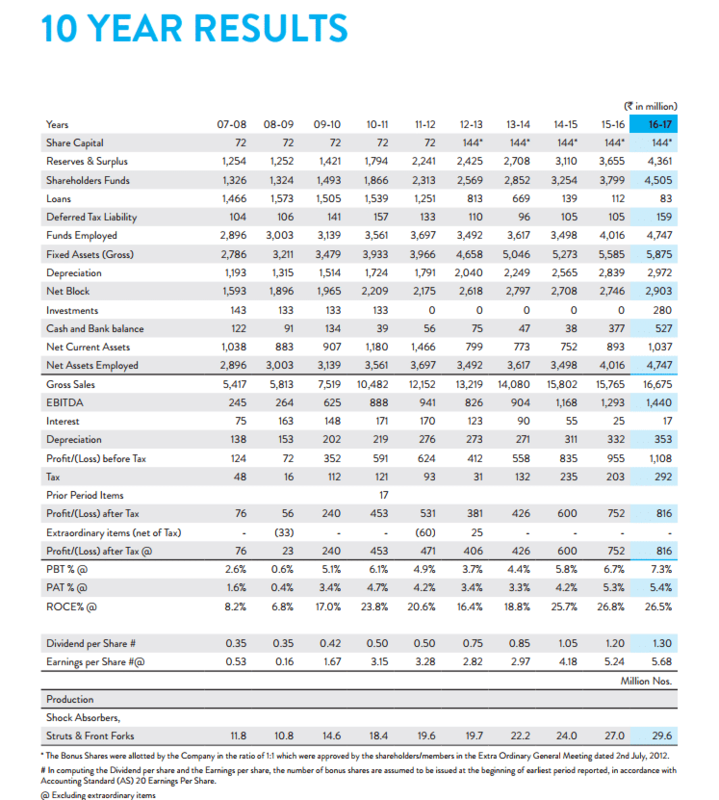 While the company has seen 10 year compounded sales growth come in at 14%, its 10 year compounded profit growth is 27%. This static means that growth in sales hasn’t come at cost of margins. The company has good returns on Equity: 10 year ROE being 18.58% while not having any debt (Currently Debt stands at 8 Crores) and no dilution of Equity either. Adjusting for the Bonus shares, the company hasn’t raised any fresh equity since 2005. Both the above attributes signify a good management in place. The Company is led by Manoj Kolhatkar since 2011 and comes in with deep experience in the automotive space. Finally, it’s a simple business – the company manufactures items that anyone who drives a vehicle uses extensively. Growth would be in line with Automotive sales which doesn’t seem to losing steam any time soon. Growth has been steady though revenue growth has slowed down over the last couple of years. Thanks to increase in operating profit margins, this isn’t visible on the Net Profit Level. Markets on a whole have seen a new kind of reset happening since 2014. Stocks are hitting valuations they haven’t seen ever. Gabriel India is trading at 7 year high valuation. CRSIL recently re-affirmed rating of the company for short term borrowings. This affirms that the financial standing is good. 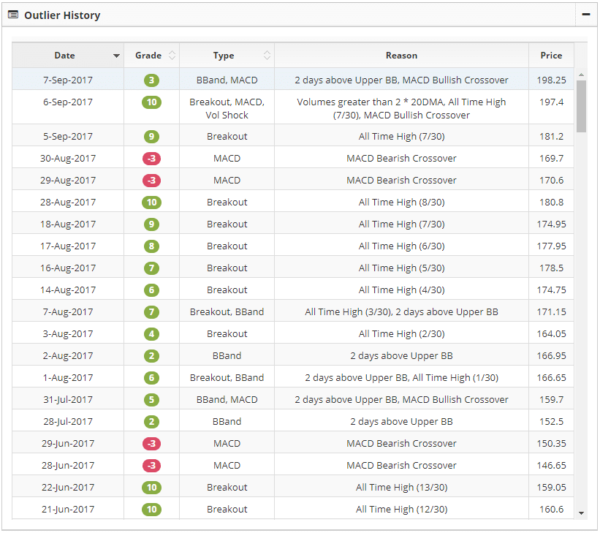 The stock has seen strong price momentum in recent week. Volumes have been decent in this rise. 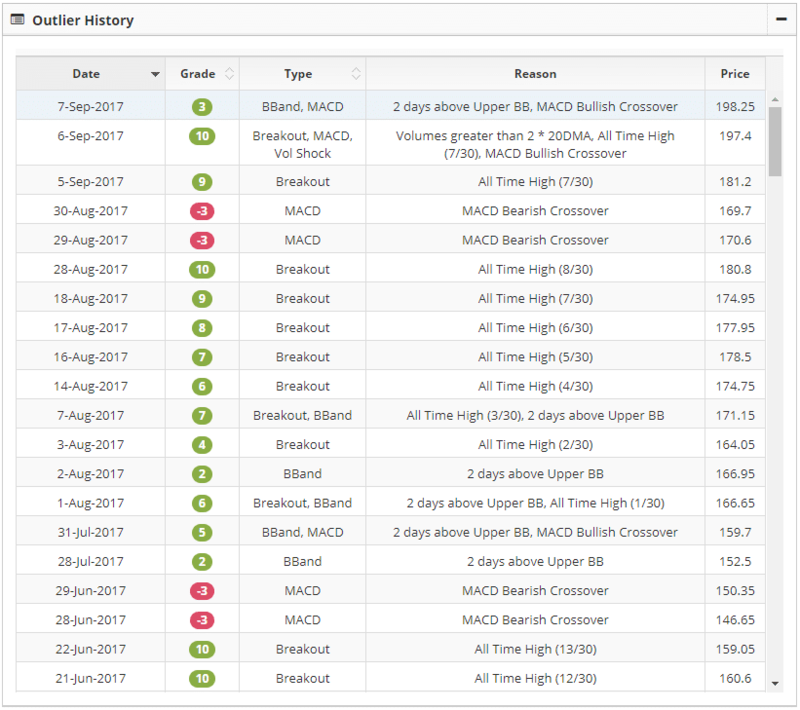 Stock is up 25% since we made a fresh all time High on August 1st and is close to double where it was when it first made a breakout post the 2014 rise. NOTE: Please do not consider this article as a recommendation, It is purely for informative purpose only. Authors may have positions in the stocks mentioned, so consider our analysis biased. There is no commercial relationship between Capitalmind and the companies mentioned in this analysis.